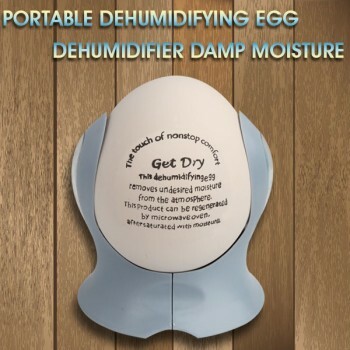 ﻿Say goodbye to dampness and humidity with this amazing Dehumidifying Egg. This beautifully highly ornamental egg is designed to reduce air moisture content in small areas. 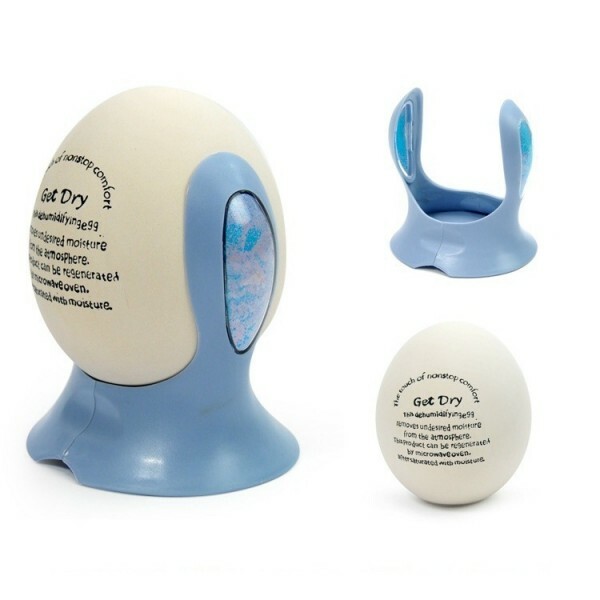 Using its advanced capillary ceramic technology, moisture is absorbed and then retained by special silica granules inside the egg. Great for use in small rooms or areas where excess moisture can cause problems. Significantly reduces the risk of mildew occurring in spaces such as wardrobes, cupboards and drawers. Water absorption can be monitored by weighing the egg each day and noting the increased weight due to moisture retention. 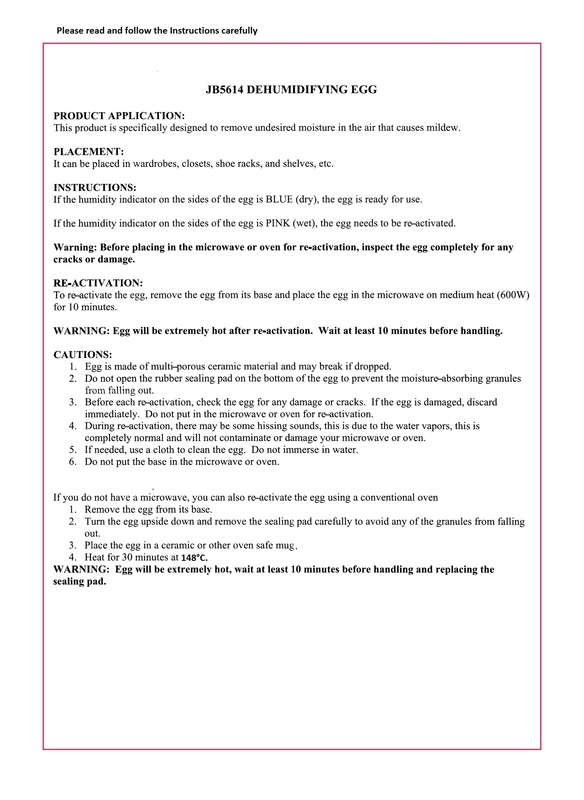 Moisture content is also indicated on each side of the egg holder – blue shows the Dry Egg is ready to absorb moisture, pink indicates that the egg is full. 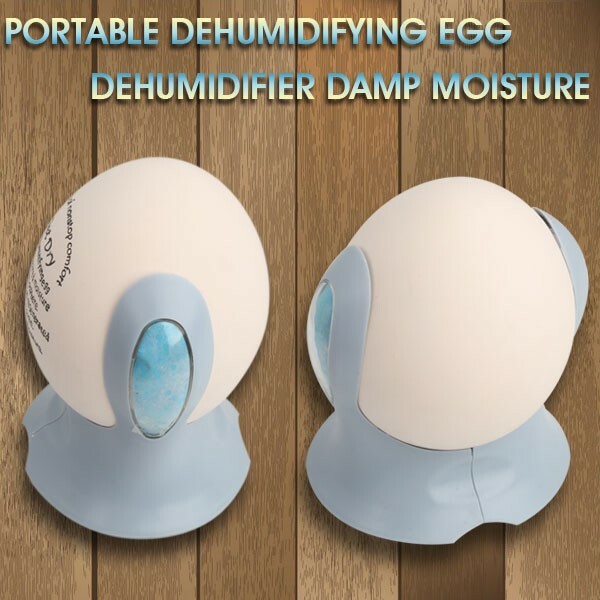 Once full of moisture, The Dehumidifying Egg can be regenerated by placing it into a microwave oven for a maximum of 30 mins. Attractive, practical and innovative, The Dehumidifying Egg makes a useful addition to any home, as well as an unusual and thoughtful gift item. To download these Instructions in PDF form, please click here. Please read and follow carefully.